World Book Day comes but once a year and it sees children dressing up as their favourite book characters, taking their favourite books to school and really engaging with reading. Some schools go the extra mile and bring in special visitors for the day – which is exactly what happened at Lindow Primary School in Cheshire. Not only did they invite our company founder and prolific author, C.S. Woolley to spend the day with the staff and students of the school, but also asked her to official open the new school library, “booktropolis”. C.S. Woolley barely stopped throughout the day from giving a talk and opening the library during the whole school assembly, to running a writing workshop with years 5 and 6 between the first break and lunch. Her lunch time was spent talking to dyslexic students about what they found difficult and the afternoon saw years 3 and 4 taking part in a writing workshop too. You can read the newspaper write-up of the event here. C.S. Woolley has written two children’s book series – the Children of Ribe and the Children of Snotingas. Both are historically accurate fictions for children that have been formatted to specifically help dyslexic children with their reading. The Children of Ribe is set in Viking Denmark and follows a group of children from the ages of 10 to 18 as they search for the arm rings of Yngvar – magical artefacts that have the power to save the town of Ribe from the evil forces that threaten it. The Children of Snotingas is set in Anglo Saxon England and follows the formation of the kingdom of Mercia as they split from Northumbria. The series takes a in depth look at the lives of the nobles, the warriors, the ceorls and the slaves as well as the prisoners that were taken. The series involves real people from the Anglo Saxon times in a similar way to how Bernard Cornwell’s Sharpe and C.S. Forester’s Hornblower involve historical figures and the events that were unfolding at the time. This series has also been formatted to help dyslexic children with reading and has also been written so that it can be used as a teaching aid when children are learning about the Anglo Saxons in primary school. The first book in the series, WYRD, is due for publication soon. The original publication date was delayed due to problems with the cover art, but we are working hard to rectify those as soon as possible. If you are interested in purchasing any of C.S. Woolley’s books (or the arm ring merchandise that accompanies the Children of Ribe series) you can buy them direct from our Etsy Store. All the books in the Children of Ribe and Children of Snotingas series come with free UK postage and packaging, the option of having the books signed by the author, free gift wrapping and a free coloured overlay that comes in a choice of six colours. For parents and student of Lindow Community Primary School, all orders placed through the Etsy Store by the end of Monday 6th March will be brought to the school by C.S. Woolley on Friday 10th March – all signed by the author. Continuing our spotlight on women in literature from history, we come to the sensational Lady Mary Wroth. She was a member of the Sidney bloodline as the daughter of Robert Sidney who was the brother of Sir Philip Sidney and Mary Sidney Herbert. She had many different works published and had two firsts in literature for English women. The first of these was The Countess of Montgomery’s Urania and the other was the unpublished pastoral drama Love’s Victory. Lady Mary Wroth was a standard bearer for women in literature, replacing heroes with heroines in genres that the males of her bloodline wrote in, transforming their genre politics and gave rise to the exploration of poetics and situations for female writers. She was educated at Penhurst, the Sidney family country house, that was celebrated by Ben Jonson. She was a patron as well as a writer and some of those that enjoyed her patronage included Ben Jonson, who celebrated her in two epigrams and a verse letter honouring Sir Robert Wroth, Lady Mary’s husband. She was engaged in a long-standing love affair with her cousin, William Herbet, which she continued after the death of her husband. William Herbert was also an accomplished poet and a patron of the theatre and literature as well as being a power courtier. His affair with Lady Mary Wroth produced two children as well as a scandal. But how can silence be where sorrows flow? But broken hearts can only true grief show. Til this live earth, again to earth doe turne. And bu this light allow my state to see. Are my sad days unto eternal night. We thought we’d take some time today to highlight some of our favourite female figures in literature starting with Mary Sidney Herbert. Many people will know that the Sidney family had quite a literary bent, (Sir Philip Sidney for example), however the Countess of Pembroke was one of the first women to ever forge a reputation in literature as a poet, a patron, poetic translation and other literary works. 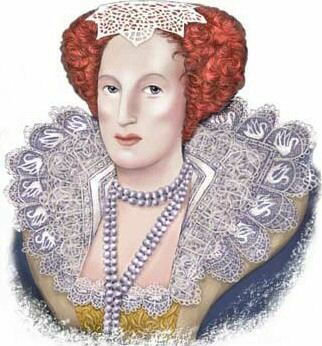 There are also people who believe that Mary Sidney Herbert was the real identity of William Shakespeare. By all of worth, where never envy bites.